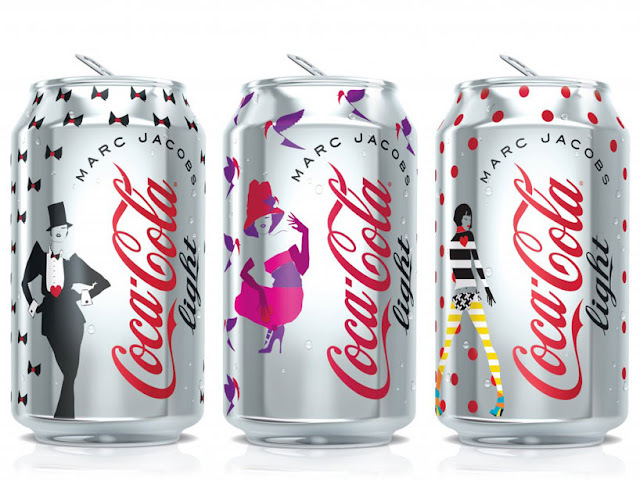 Diet Coke announced that leading visionary, and fashion designer, Marc Jacobs, has been unveiled as Creative Director exclusively for 2013. The partnership was an exciting element of the ‘Sparkling Together For 30 Years’ campaign, as the brand celebrates their 30th Anniversary. Marc Jacobs stamped his unique vision, and exquisite taste to the brand, by creating a limited edition collection of must-have bottles and cans, uniting the stylish and light-hearted personalities of both icons. Inspired by the three decades, the chic designs capture the rise of female empowerment through the ‘80s, ‘90s, ‘00s, with a whimsical twist, a true to Jacobs’ signature style. I’m dying to get my hands on these amazing works of art, including Marc Jacobs himself heheh. They are true timeless art pieces!